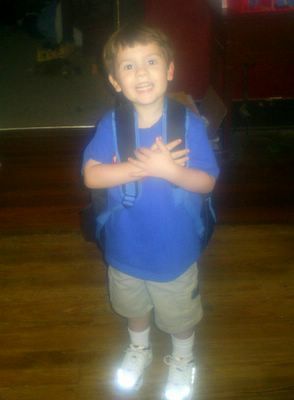 First day of Kindergarden!!! How did I get to be the mother of a Kindergardener? Three years earlier. That's my baby!